Mary A. Mussen, 64, of Hermon, died on June 22, 2016 at Canton Potsdam Hospital. Services will be at the convenience of her family. She is survived by her husband James F., sons, Theodore and his wife Doris Rubin of, Kathleen, Florida, Shawn Albert and his wife Tina Rubin of DeKalb Junction, half siblings, Roger Delorme of Texas, Dorcus and her husband Rusty Lottie of DeKalb Junction, Danette and her husband Neil Hance of Rensselaer Falls, Marsha Delorme of Texas, Pamela Delorme of Texas, Michelle (and her husband Wayne Cronk of Rensselaer Falls, a sister in law Kim Delorme, special friend Jordan Roth, grandchildren, Allison Inez Goldie, Della Rae Rubin, Cassidy Rubin, James Phelps, Dylan Kelley, Shawn Patrick Rubin, Harley Nicole Rubin, Natasha Petrie, great grandchildren, Hunter, Damon, Kamon, Virginia, Brooklyn, Cameron, Elizabeth Izabell, several nieces, nephews, cousins, and special friends. She was predeceased by her grandparents, Albert and Dorothy Dafoe (who raised her), brothers, Albert Delorme and Edward Delorme, a sister, Hope Delorme, half siblings, Edward H. Delorme, Randy Delorme Sr., and Rodney Delorme. Mary was born on October 31, 1951 in the Canton, the daughter of the late Edward J. and Alice Dafoe Delorme Sr. She married James Mussen on October 22, 1990 at 9 PM at the home of Reverends William and Betty Masters. 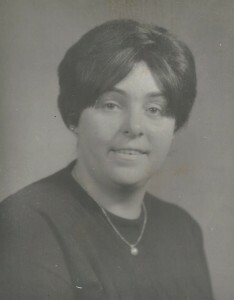 She graduated from Canton Central School in 1969 and worked as a chief clerk for the Department of Social Services for 21 years (was in charge of converting all files from paper to computer), retiring in 2009. Mary was a past member of the Pyrites Ladies Auxiliary and loved to read, play games on her computer and play cards. In lieu of flowers contributions can be made to the American Cancer Society.